Everyone loves a fresh start, right? 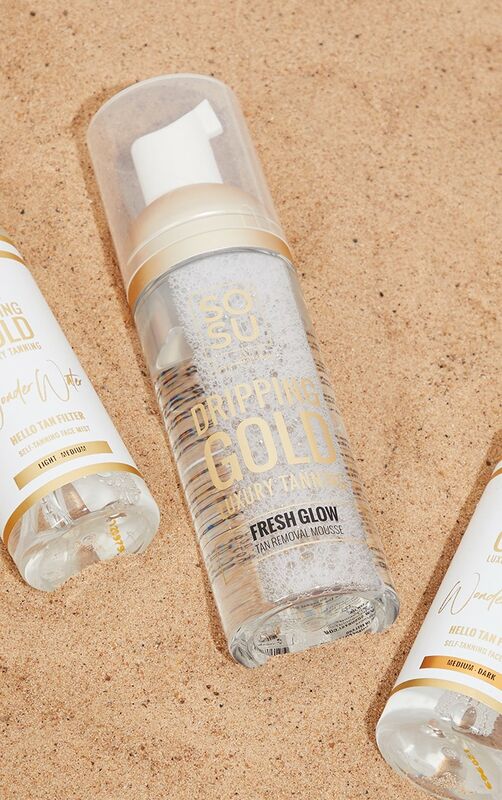 swap endless hours of excessive scrubbing for tan free skin in minutes. 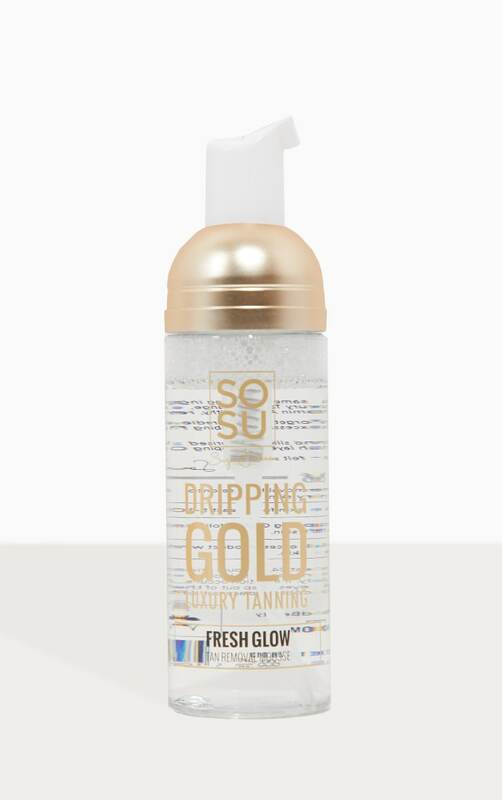 Remove stubborn tan quick and easy, forget harsh ingredients with the Dripping Gold Tan Removal Mousse and start a fresh, ready to glow all over. 1. Pump Mousse onto hands and apply liberally to dry skin. 2. Leave on the skin for at least 5-10 minutes 3. Use an exfloitaer mitt and begin to gently buff the skin. 4. Shower off all the excess product while continuing to exfoliate the skin. Aqua, Urea, Sodium Bicarbonate, Cocamidopropyl Betaine, Glycerin, Ethoxydiglycol, PEG-40 Hydrogenated Castor Oil, Phenoxyethanol, Tocopherol, Retinyl Palmitate, Citric Acid, Parfum, Alpha-Isomethyl Ionone, Butylphenyl Methylpropional, Hexyl Cinnamal, Hydroxycitronellal, Linalool.